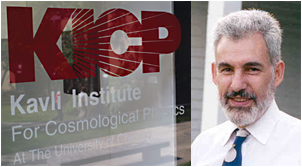 In more than 35 years at the University of Chicago, Bruce has had numerous research achievements including the observation of direct CP violation and state of the art CMB polarization measurements. He led the formation of Chicago's Kavli Institute for Cosmological Physics. 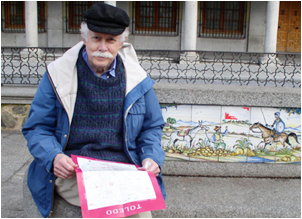 He has also mentored dozens of graduate students and postdocs. Please join us for a symposium and dinner to honor Bruce. 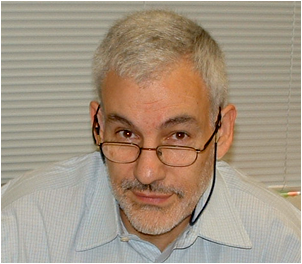 Jonathan L. Rosner, KICP associate. We cordially invite you to celebrate Jon Rosner on the occasion of his retirement from the Department of Physics, the Enrico Fermi Institute, and the College at The University of Chicago. Jon is known for his deep and wide contributions to theoretical investigations of heavy flavor, W and Z boson physics, gauge theories, and applications of the quark model. In the world of experiment, Jon is also known as an exceptionally effective and subtle experimentalist, as well as a true expert in analog and digital electronics. In both areas, Jon is a distinguished and award-winning teacher. (Indeed, if it weren't for this we would be sure that there had to be at least two Jon Rosners, given the breadth and productivity). Please join us in honoring Jon, and to celebrate him and Joy. The workshop is supported jointly by the Michigan Center for Theoretical Physics (MCTP) at the University of Michigan, and Kavli Institute of Cosmological Physics (KICP) at the University of Chicago. 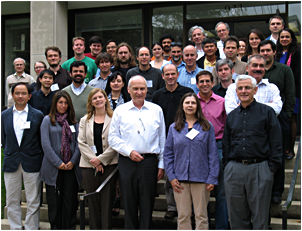 We expect attendance by about 50 worldwide leaders in the field of non-Gaussianity. Constraining and detecting primordial non-Gaussianity are some of the most fundamental and important tests of the cosmological model. While standard inflation predicts little or no Gaussianity, various inflationary models that predict a potentially observable level of non-Gaussianity have been proposed. 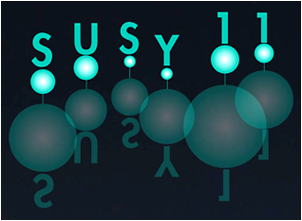 Improved limits on nongaussianity would rule out some of these models; conversely, a robust detection of primordial non-Gaussianity would provide invaluable new information about the nature of physical processes in the early universe. Recently there has been resurgence of interest in non-Gaussianity. Limits from existing data in the cosmic microwave background have already improved by two orders of magnitude between the COBE and WMAP satellite data. Estimates show that another one or two orders-of-magnitude improvement is possible once data from upcoming wide-field galaxy surveys are combined with Planck's CMB data. Along these lines, there was a flurry of activity recently by both theorists and data analysts in predicting and classifying the various nongaussian signals, and learning how to extract them from the current or future data. We plan to bring together theorists and data analysts in this 3-day workshop on primordial non-Gaussianity to consolidate the recent progress and discuss future efforts. Fermilab has prepared a plaque to honor Bruce Winstein's contributions to the Laboratory and the field. We plan to unveil the plaque on Wednesday, June 1st with Joan Winstein and we would like to invite you to attend the ceremony. We hope to see many of you at this ceremony. Ed Blucher's presentation on Bruce's accomplishments (25') - this is part of Fermilab Annual Users' meeting. Unveil the plague, followed by a Champagne Toast to celebrate Bruce's contributions to the field. 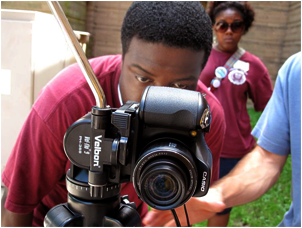 The 2011 Yerkes Summer Institute focused on detectors and the impact these devices have had in enhancing humanity's ability to understand the universe. Taking traditional photography, high-speed and time-lapse photography, and active sonic imaging as examples, students spent a week exploring how these technologies have extended human memory, opened the time domain, and illuminated the world at beyond-visual-range. 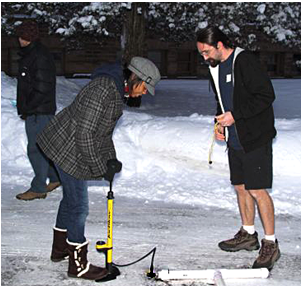 Over the course of the institute, students built their own detectors and learned to interpret their detections. They gained a hands-on understanding of how their instruments worked and came to grips with fundamental questions regarding the relationships between inputs and outputs and the distorting effects of error. PFC holds a kick off meeting with 40 co-investigators, key collaborators, executive committee members and KICP Fellows attending. The purpose of the all-day meeting was to get the Pushing Cosmology to the Edge PFC off to a quick start.